We participate in most insurance plans and work hard to keep our pricing fair and affordable. In addition to competitive pricing, we participate in Care Credit and other financing options. We are providers for various discount programs like Hear PO, EPIC, True Hearing, and Audient. Contact your insurance provider to see if you are eligible. We are a member of a variety of private insurance networks. To ensure that we are a participating provider for your insurance, please call our office to inquire. Please remember that participation in a network does not assure coverage for our services. Your personal insurance plan will determine your benefits. You will be responsible for any co-payments, deductibles and charges not covered by insurance. Clients not within the network are responsible for full payment at the time services are rendered. We will provide a receipt for you which includes the information necessary for reimbursement with your insurance company. For services not covered by insurance, please contact our office for private pay options. We accept most commercial carriers, but please contact our office to ensure that your services are covered. Although we do everything we can to ensure that you receive the services needed, it is your responsibility to know the inclusions and exclusions of your insurance policy. If you are eligible for Medicaid, your physician must fax the referral to the Center at 225-343-4233 before any appointment can be scheduled. Upon arrival, please have your current Medicaid card along with any applicable registration forms. With the current Medicaid expansion, some Medicaid policies may cover hearing aid expenses past the age of 21. Please call your insurance provider for adult benefits. 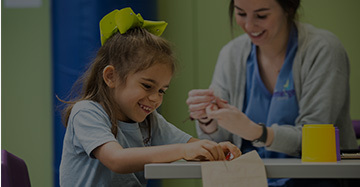 More information on Healthy Louisiana/Medicaid can be found here. All payments and co-payments are due at the time of service. The policy holder’s date of birth and address must be provided in order to process your payment. We accept all major credit cards as well as cash and checks. We are pleased to offer our patients the CareCredit® card, North America’s leading patient payment program. CareCredit is the credit card exclusively for healthcare service interest rates or other costly penalties. You can get low monthly payments for healthcare procedures not commonly covered by insurance, including dental procedures. For those on extremely low or fixed income, there is the “Hear Now” program. 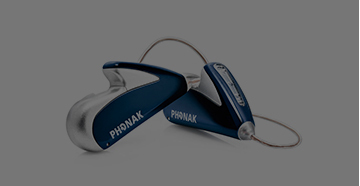 Through the Starkey Hearing Foundation, Hear Now provides substantial savings on hearing aids. For more information, go to www.sotheworldmayhear.org and click on "Hear Now." Contact us at (225) 343-4232 to apply for the Hear Now program. To apply for reduced fees, click HERE and download the application for financial assistance. Please know that financial assistance is limited. Please mail or deliver your application with all requested documentation to our office. Please note: You will be charged full fees for services you receive until you have written confirmation of reduction in fees from the Emerge Center business office.